We hope that you had a fabulous Winter Season and some well deserved rest. We would like to let you know that we are hosting a Spring Market this year at Sullivan Hall on April 2nd. This market will focus on helping you clear your study/work space out of the supplies that have been piling up around you that you no longer need. This could also include displays that no longer work with your current product or vision/showcase. Time to spring clean whatever environment you call your “studio” and make a little cash! Haul out any new and gently used art supplies you don’t want anymore and set up a table or a tent and purge that clutter! 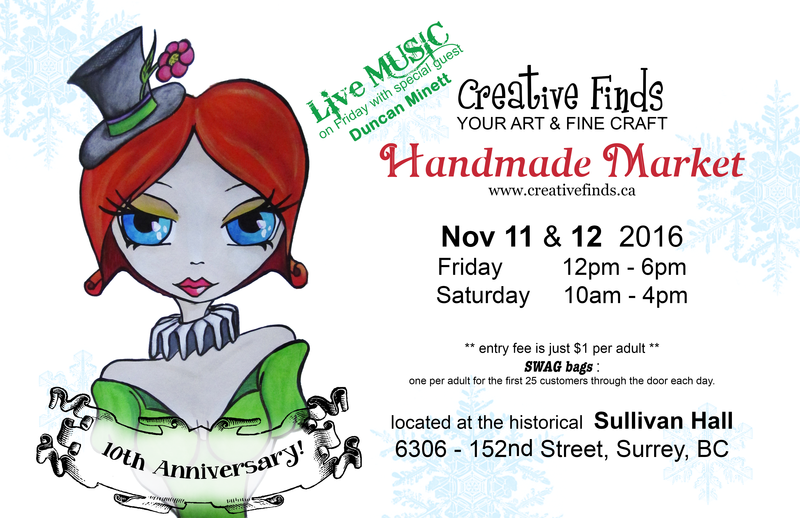 NOTE: Market details can be found on our application form at www.creativefinds.ca. Remember, this is a SWAP MEET, not a craft sale, so price your items accordingly and be super willing to haggle! Have fun! 2016 Creative Finds video promotion #1! …and now our annual silly video promos begin!!! Enjoy!